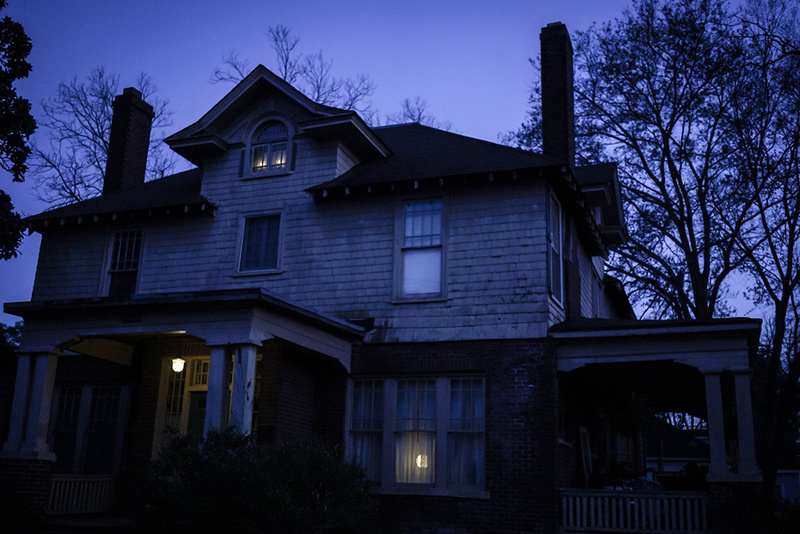 We’ve been anxiously awaiting the release of Tommy Faircloth’s supernatural horror film Family Possessions for quite some time, after having the opportunity to speak with Tommy about his upcoming film a year ago. Currently making the festival circuit, the film is creating quite the buzz among horror fans and critics, recently winning “Best Thriller” and “Best Feature” at the Myrtle Beach International Film Festival. FAMILY POSSESSIONS is about a family of four — parents, Steve and Sarah Dunn, and their kids, Rachel and Andy — who have recently inherited the house of a dead relative. The house, which comes to the family fully furnished and debt free, arrives at a time when the family has fallen on hard economic times. It’s a lifeline and the key to better days ahead. But it comes at a price. When Steve’s mother dies, she leaves the home to her granddaughter Rachel instead of her son. The family can live there as long as Rachel is living under the roof. If she leaves for any reason, the house will be liquidated with all proceeds going to charity. Desperate to assert her independence, college-bound Rachel resents feeling trapped in the home. Her troubles are compounded when she starts to experience strange phenomena in the house, while uncovering dark hidden secrets about her family’s past. Leah Wiseman (Dollface, Dismembering Christmas) absolutely shines as the struggling teenage daughter at the center of a disturbing family drama that unfolds against a backdrop of town gossip and unexplained paranormal activity. Jason Vail and Morgan Monnig are equally compelling as the beleaguered parents struggling to cope with a strained marriage and the stress of their financial troubles. Horror icon Felissa Rose (Sleepaway Camp) makes a small but memorable appearance as the alcoholic, anything-but-nurturing single mother to Maggie (the wonderful Erika Edwards), an awkward but sweet neighborhood girl who befriends Rachel. Admittedly, I could have used at least 50% more Felissa in this film. But Faircloth makes good use of the talented scream queen, giving her a fun and juicy character to sink her significant acting chops into. Spoiler alert: She also has one of the most satisfying death scenes thanks to that famous and utterly unforgettable scream of hers. 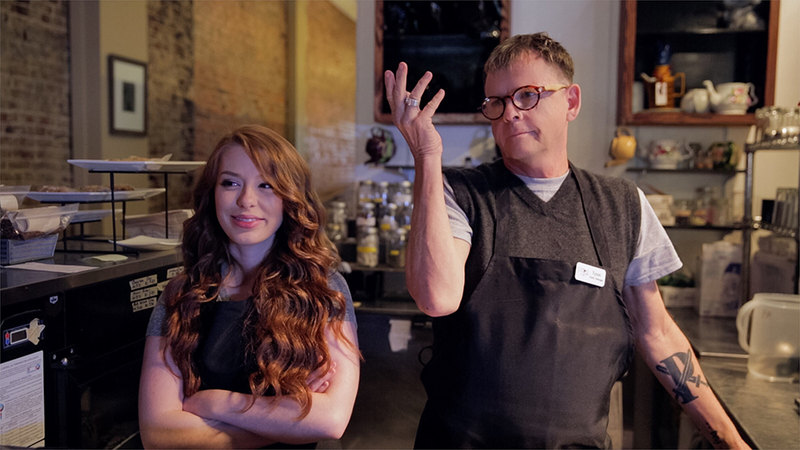 Horror fans will also delight in seeing the wonderful Mark Patton (A Nightmare on Elm Street 2: Freddy’s Revenge) in a brilliantly campy role as a bitchy barista who, along with town mean girl Tristen (Elizabeth Mears), makes Rachel’s adjustment to her home all the more difficult. Mears and Patton add quite a bit of the comedic relief in the film, and the two have an electric on-screen chemistry. 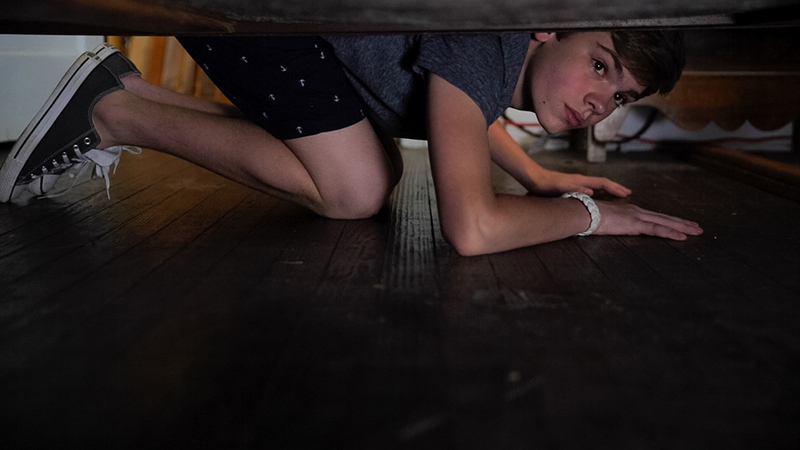 FAMILY POSSESSIONS does an exceptional job rising above most formulaic haunted house movies by artfully blending elements of horror and comedy, camp and drama. It’s a film that’s part intriguing mystery thriller and part bloody slasher — an old school supernatural horror with plenty of satisfying twists and enough practical gore to keep things interesting until the shocking finale. Somehow, Faircloth manages to combine creepy supernatural elements, witchcraft, teen drama, and slasher campiness in a way that feels completely natural and effortless. It’s quite a bit longer than your average horror film, clocking in at nearly two hours. But don’t let that deter you. Faircloth maintains exceptional pacing throughout the film, and there is never a dull moment. Aided by a stellar script (written by Faircloth), the movie does a great job keeping you guessing until the very end. I really enjoyed the mystery element, as I found myself fully invested in Rachel’s story and trying to uncover exactly what was behind her grandmother’s strange behavior. As a rabid consumer of horror, I’m consistently disappointed by weak and formulaic endings. But just as all the pieces were starting to come together in a somewhat predictable fashion, I was caught off guard by a surprising and extremely satisfying final act that subverted my expectations. The film looks great, with solid camera work and impressive visuals. It’s easy to forget you’re watching a low budget indie film, made in part with the help of a modest crowdfunding campaign on Indiegogo. It’s also backed by a great soundtrack that significantly enhances the creepy atmosphere and well-executed scares. 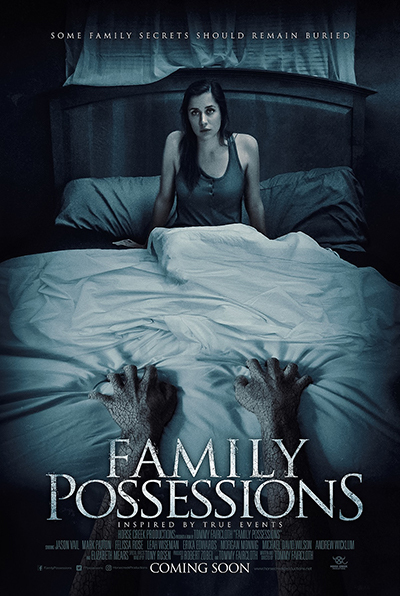 Family Possessions is an interesting and refreshingly unique, genre-bending horror film boasting a smart script, solid practical effects, a stellar cast, and strong direction. This one definitely makes our Morbidly Beautiful Recommends list of must-see indie horror films! Be sure to follow the film’s Facebook page as well as Faircloth’s production company Horse Creek Productions to stay updated on when and where you can see this film.